Ran into a horrible situation over the weekend and had to share it with everybody so you can all be warned and know what to watch out for. Went to a bingo site that I've played at off and on over the last few years. Never won big, but I have won often enough to not be turned off by the site. I've always used the same debit card without incident, even as recently as a few weeks ago. Friday evening about 5:30PM I went to the site and made my deposit....but got a window saying it had been declined. I tried it a second time just in case the first time I had entered the card info incorrectly the first time....got the same decline window. I made the assumption (no help available on the weekends here, including accounting) that they had changed credit card processors and now my card wouldn't work there anymore. Left that site and went to a different one instead, deposited and played pretty much the whole weekend on that one deposit. Monday afternoon I got an email from the first bingo site that although the window said both deposits had been declined, they had actually processed fine at the processor...but had broken down when the processor tried to transfer the funds to the site itself. The site credited my account for both deposits plus the bonuses. I informed accounting via email that I wanted the money returned to my debit card because it was tied to my checking account and I needed that money in my account immediately in order to allow other checks to clear and to pay a bill that I would otherwise have to delay because after checking with my bank I was now overdrawn and had two check charges as well. I was told they could process the refund for the actual deposits but the check charges would be put into my bingo account as cash, not bonuses. I had no choice but to accept that. I had deposited two $100 amounts, but when everything finally got to my bank yesterday (three days after first hearing about this on Monday), I ended up with only $50 after the bank took all their fees for clearing everything...so I wound up losing $150 total thru no fault of my own. Now...the warning to everyone.....if you should EVER get a declined window show up when you make a deposit, immediately assume that it has actually gone thru and check your bank account or credit card account online or over the phone to get the latest and newest charges since these are almost always an immediate transaction. Don't be stupid like I was and think they changed processors. I couldn't open a TT because this particular site has switched their software to only accept IE8 or the newest Firefox...neither of which I have so the only alternative I had was to email and wait or try LiveHelp, which is really no help at all when it comes to accounting. Since accounting is closed on the weekend, I knew nothing until Monday when it was too late to stop this mess. I haven't named the site because I suspect that this type of problem could happen anywhere since they all use card processors and the internet can glitch out anytime without warning, and this site really doesn't have a bad reputation...it's just not on the radar here as being OK.
Thank-you for this NMM. 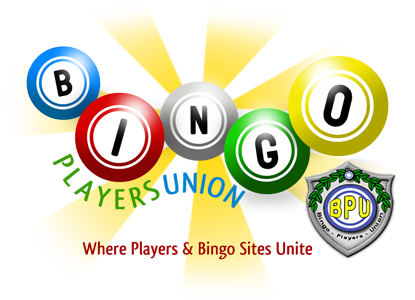 We all know there are pitfalls when playing on-line bingo and this is a good example of just another thing to be aware of. Many sites say when you deposit make sure you only hit submit once and that is there for a reason because if a player thinks it is too slow and hit submit twice they will and have made 2 deposits when they only meant to make one. Our advice is take your time when depositing there is always a game a few mins later. Oh no! What a terrible thing to have happen. Thanks for the warning and the advice. I would have probably assumed that they were down for repair for that day and possibly tried again the next day which would have had the same result because in reality they were not shut down for maintenance or repair. Good thing to know about and good thing to remember to not be impatient. Thank you for that post. Poker Princess you are so right- patience is a virtue I unfortunately do not possess too much of but I probably would have been clicking away trying to get the darn site to work and would probably be out who knows how much money as a result.